Most folks in town a century or two ago would have not been pleased with the warmer than usual winter of 2005-06. It’s not that they loved cold; it’s just that they liked to get their work done. Warm winters were a muddy mess, and mud was the enemy of the farmer. 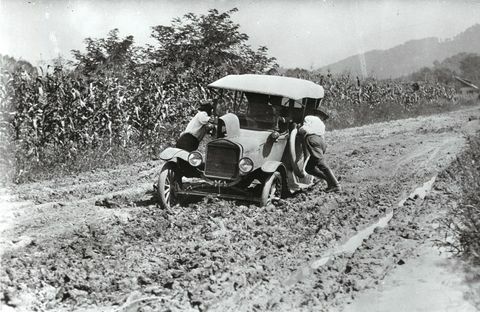 When the ground was frozen, the narrow wheels of wagons could handle the dirt roads and farm paths with ease. Thawed, roads and paths were one miry mess after another. When the ground was snow-covered, life was even better for the farmer, whose slays, sleds and sledges could get much more work done than could wheeled vehicles. A horse could drag four times more weight on a sled across snow than could a wheeled cart across dirt. That meant that farmers could easily haul timber home from the woods to cut for firewood, to saw into lumber, or even to hew into railroad ties. It meant that stoneboats could remove large boulders from fields, and that other heavy-duty tasks could be accomplished. Winters may have been colder back then, but the work was harder and kept people warmer.